The ASTM C-33 guidelines address specifications for concrete aggregates, or items that are added to concrete to prepare it for use. Aggregates addressed in the standard are either fine or coarse. Fine aggregates are defined as natural sand, manufactured sand or a combination of the two. Coarse aggregates are defined as gravel, crushed gravel, crushed stone, air-cooled blast furnace slag, crushed hydraulic-cement concrete or a combination of these items. The C-33 specifications define the grades of quality for both fine and coarse aggregates that are used in concrete. 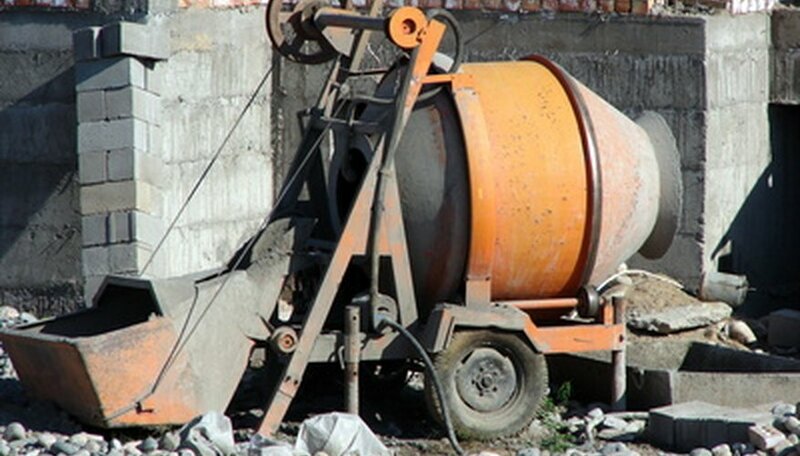 The contractor using the concrete, the concrete supplier or any other purchasers can request evidence of the specifications met to determine the quality of the concrete being purchased. Some types of work and work in particular regions may require even stricter limits. The C-33 standards can be used when a user orders or requests a concrete batch, so that the buyer can specify aggregate size and quality and other specific grading qualities. ASTM C-33 sets limits for deleterious, or harmful, substances in fine concrete aggregate. For example, there are limits on the amount of clay lumps and friable particles -- small pieces of aggregate that break down easily. These are limited to 3.0 percent or less of the total mass. Extremely lightweight aggregate is also limited to 3.0 percent or less of total mass, and coal and lignite are limited to 5.0 percent or less. Any of these items can cause concrete to lose strength and deteriorate more quickly. The C-33 standard allows each contractor or concrete user to have a standard for ordering and specifying types of aggregate for specific concrete uses. The C-33 document contains ordering instructions, tables showing deleterious substance allowances for different weathering climates, grading requirements for aggregates and other specifications. These standards allow everyone ordering concrete to have a uniform method of determining impurities and aggregates in concrete. Joseph Lamond, J.H. Pielert "Significance of Tests and Properties of Concrete and Concrete-making Materials"
What Are the Different Kinds of Bricks?